Marble mosaic of Real Madrid C.F. 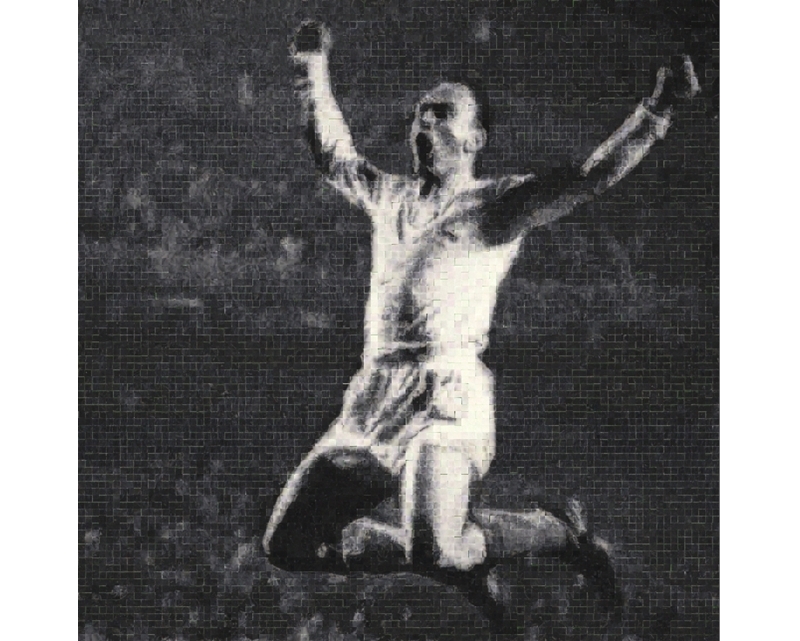 football player Alfredo Di Stefano, using my technique of "natural marble collage", through the natural textures of stone. 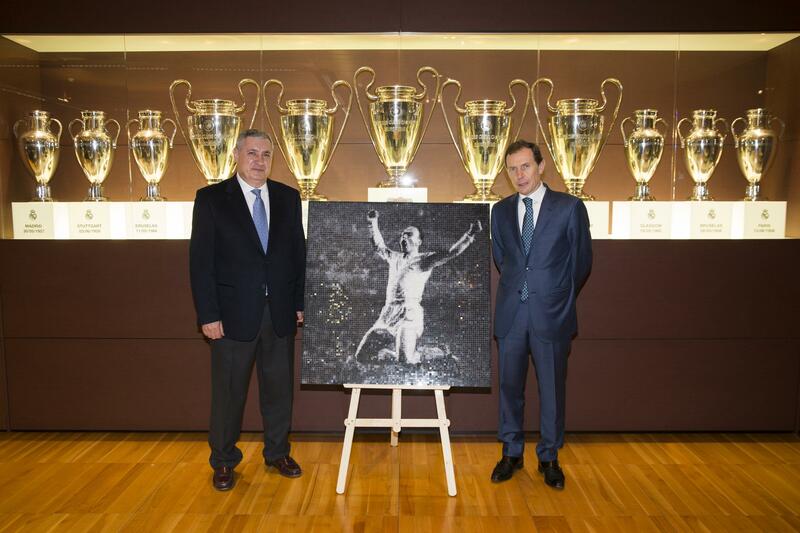 Mr. Emilio Butragueño, Head of Public Relations and former player of Real Madrid C.F. 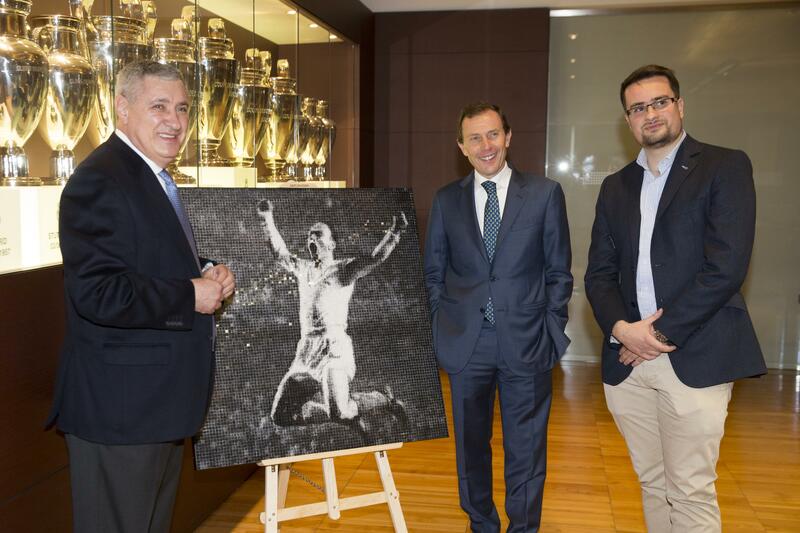 in Santiago Bernabéu Stadium.